A contemporary love story that not only provokes thought but also makes you realize the importance of the people in your life – your family. We usually end up taking our families and our loved ones for granted. And Anurag’s novel –The Quest For Nothing quite remarkably hints at that. The story traces Akash’s life- from his management college to his professional and personal life thereafter. Akash lands himself a good corporate job soon after his MBA (very tactfully, may I add), and ends up marrying Deepali (a very caring and rooted girl) in the first half of the book. He then shifts base to Mumbai to work with the FMCG sector, with his better half and both of them end up boggled by the shackles of corporate life. Though their love doesn’t diminish, the approach does. What initially was cute and kiddish about Deepali, ends up being immature and irritating at times. What follows is the increasing distance- not just physically but emotionally too. Yes, they start taking each other for granted. At least Akash does. Good thing is that he realizes it. We move on to see Akash moving back to Delhi as he gets a better offer in the finance sector. Distances draw the couple further apart. He ends up worrying more about Monisha (a conniving subordinate) who uses him as a hook to retain her job with the company as recession strikes. He also befriends a stranger online to share his woes. Towards the end of the novel, we see Akash stuck in a life/career threatening scam, only to be saved by his wife and a dear friend Vikram. I really don’t want to give much of the story away –because this is one book I feel you should read. The relevance of the subject is sure to resonate with your life. Young working professionals have fallen into a rut and almost everyone ends up making a similar mistake (the one Akash makes). We place our careers ahead of our families and our lives. We take it upon us to provide a better lifestyle to the ones we love, but it leads us to a path where we end up making certain “not so right” choices. In the zest to stay ahead in the rat race and to succeed professionally, we leave our lives behind. The characters felt real. I started to care for Deepali and Akash at a point. I maybe even used some colorful language when I felt that Akash was being a “typical male” by not cherishing what he has and instead pursuing something that he doesn’t need/deserve. That was the level of connectivity here. Akash had a great career, a loving wife, a smooth life…until he stepped on the axe, as if quite willingly! I cannot stress enough on how much I adore the narration and the author’s lucid writing. 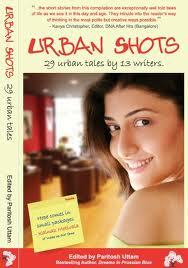 A very gripping read that takes you on an emotional journey spanning different cities and relationships. The brilliant twists and ardent writing makes this a page-turner. I say, go pick this up if you haven’t still. It is really worth reading!